Although Michael Klitzing knew he was nominated for a prestigious national parks and recreation honor, he never anticipated winning. 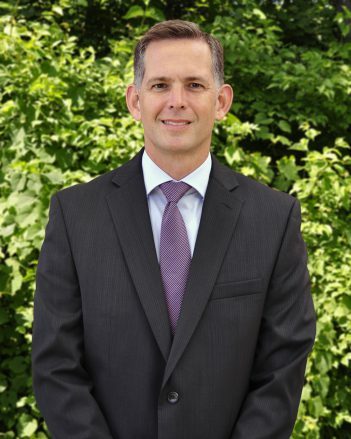 Klitzing, chief operating officer of Carmel Clay Parks and Recreation, recently learned he received the National Distinguished Professional Award by the National Recreation and Park Association. The award is presented to an individual who has made outstanding contributions to the parks and recreation field through leadership, research, advocacy, community outreach and program development. The award ceremony will take place during the NRPA 2018 Annual Conference, Sept. 25 to 27 at the Indiana Convention Center in Indianapolis. “It’s quite the honor to receive it,” said Klitzing, a Brownsburg resident. Klitzing, 47, said the award typically goes to accomplished park directors around the nation. Klitzing has been with CCPR since 2004. CCPR obtained its national accreditation in 2014 and received a national gold medal the same year.